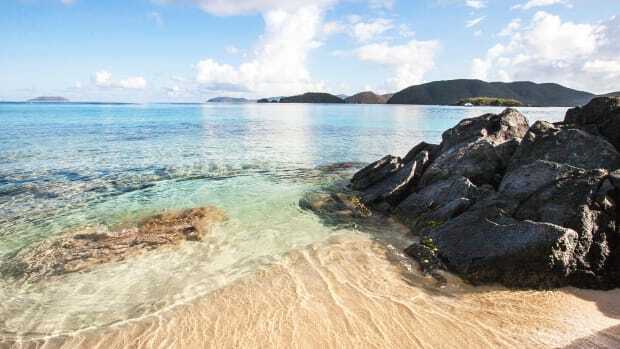 Initial thoughts on visiting the BVI after Hurricanes Irma and Maria. I arrived in the British Virgin Islands a week ago, on my first trip to these hallowed cruising grounds in the Lesser Antilles. The destruction left by hurricanes Irma and Maria are still shockingly present even three months after the storm. 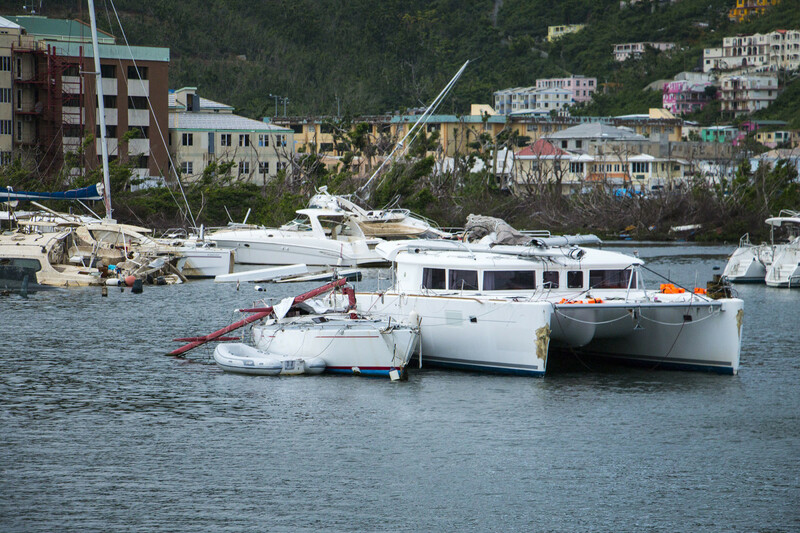 Boats damaged by Hurricane Irma sit anchored or beached in Road Town&apos;s Inner Harbour on Tortola. As I rode from the airport to my hotel, my cab driver explains to me that things are much better than they were immediately after the storm, but there is still a long way to go. At first glance, I had a difficult time imagining what the destruction originally was like and how one even begins to pick up the pieces from here. 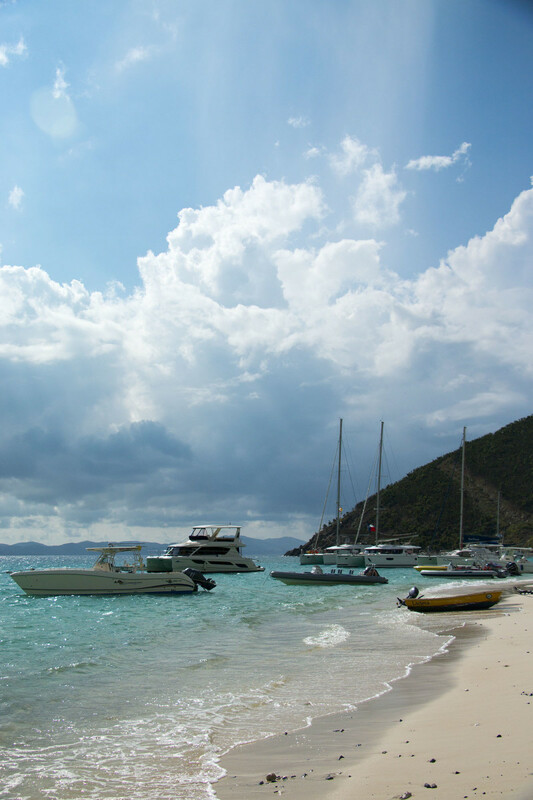 I’ve come to the BVI along with several other marine editors from the Active Interest Marine Group (our parent company) to report on how the BVI is ready and open for business after the devastating storms pounded through the region last fall. As my plane descended to the Beef Island International Airport, I was worried that claiming the BVI "open for business" might be a far cry from the truth. The area looked broken, almost irreparable. As we descended you could see boats pushed up against the shoreline in Trellis Bay. The airport itself had centralized its hurricane detritus between a few support beams of what used to be an airplane hanger; pieces of multiple private planes amongst the debris. Later, a drive across the island would reveal severely damaged houses that were still occupied and boats that sat well inland along the side of the road. There are damaged boats everywhere. I came in a day early to cover the story of how the local boating community is coming together to support each other in their recovery and rebuilding efforts. Marcie Parker and Leon Miller started what has become known as the BVI Strong Flotilla on Sundays, almost by mistake. 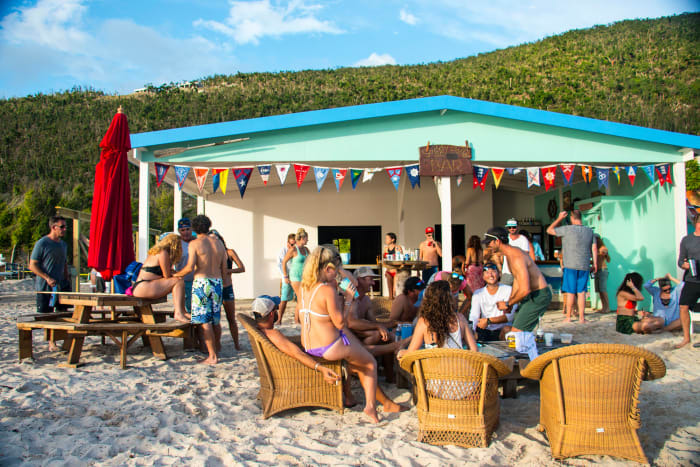 Immediately after the storms they started to gather with friends at the beach bars they always frequented on Jost Van Dyke. Even though they were battered and closed, they gathered at their local haunts, bringing their own food and beer to be amongst friends. The party starts early, around noon, as visitors order drinks, swim, and relax at the tables outside. 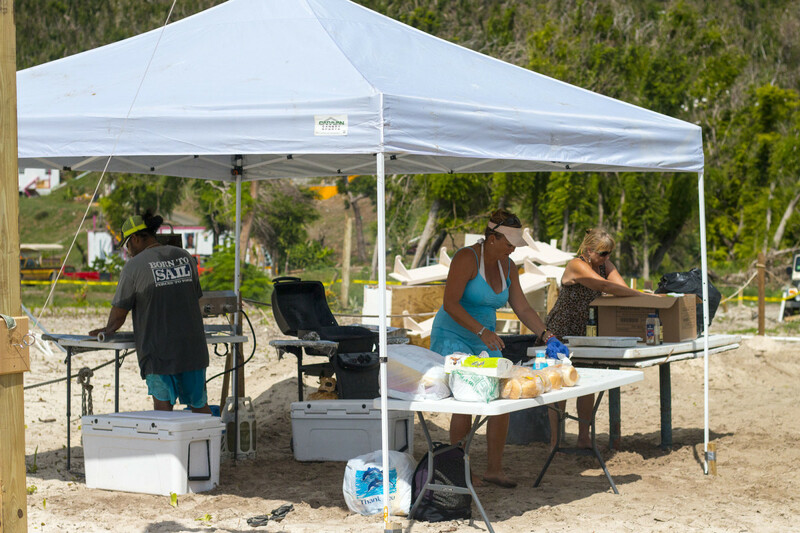 Marcie and Leon saw that while aid was flowing into the islands, it wasn’t filtering down quite as far as the local entrepreneurs who had built their lives on the beaches of the BVI. 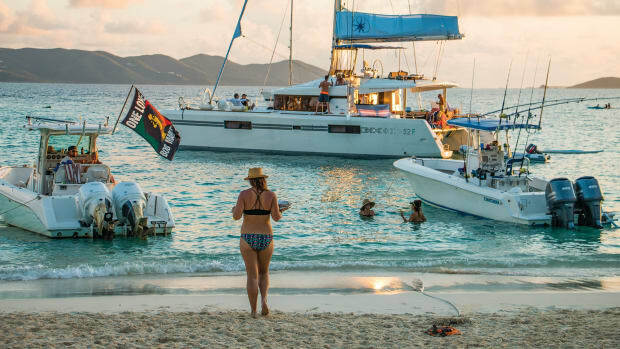 So they expanded their group, advertising to their friends who were further afield in Puerto Rico and the US Virgin Islands, encouraging them to join them on Sundays for a classic BVI-style flotilla. Marcie and a few friends prep the barbecue with hotdogs, burgers, and fresh wahoo. They pick a different local bar to support each week and bring the food for a barbecue and ice if the bars need it. The proceeds fgo directly to the bar. 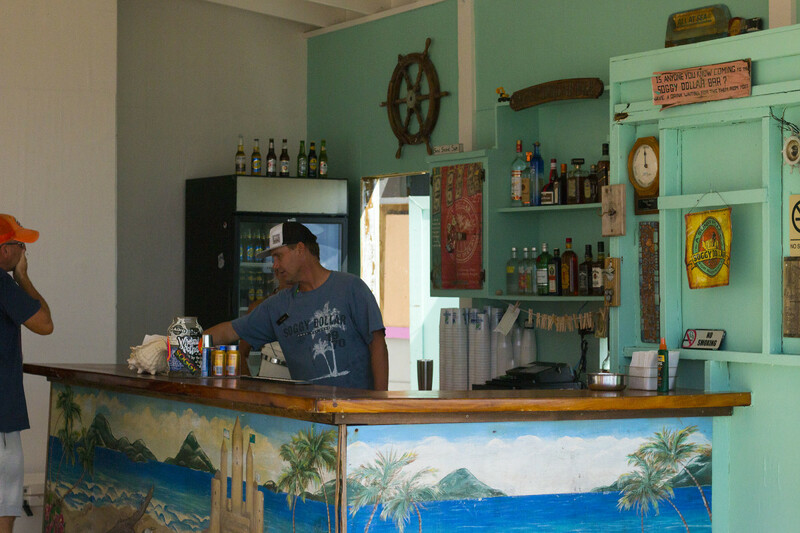 The bars themselves also sell drinks, allowing for a day of business where there might not otherwise be customers. 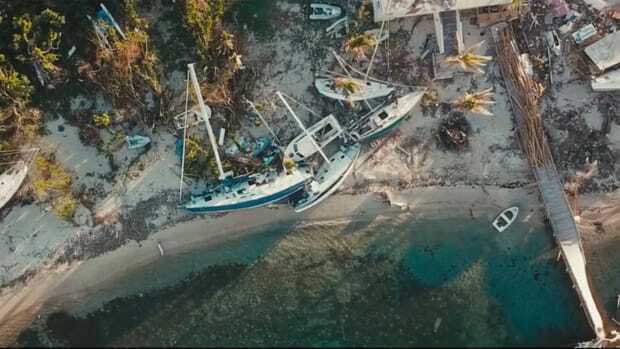 This has allowed these beach bars to make a couple thousand dollars in a weekend that they can use to pay their staff and buy the supplies they need to rebuild their infrastructure. 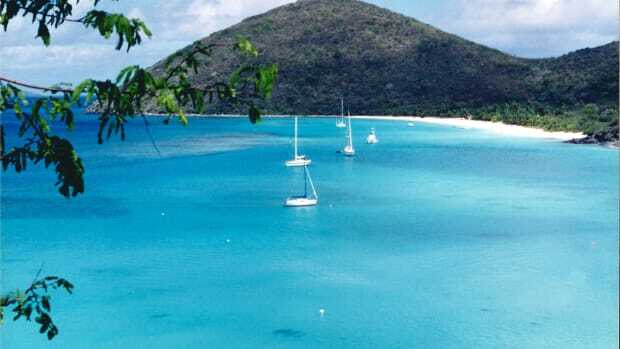 I travelled from Nanny Cay on Tortola to White Bay of Jost Van Dyke aboard Marcie’s Contender to The Soggy Dollar. As we arrived Marcie was amazed at the progress in just the last week. The previous weekend they had hosted the Flotilla at Coco Loco, also located in White Bay. This was the first week that hadn’t brought ice as The Soggy Dollar was just about ready to open their doors. In fact, I interviewed Jamie Gladman, bar and property manager, and he figured that they will be open by the end of the week (they ended up opening for the season on Tuesday). 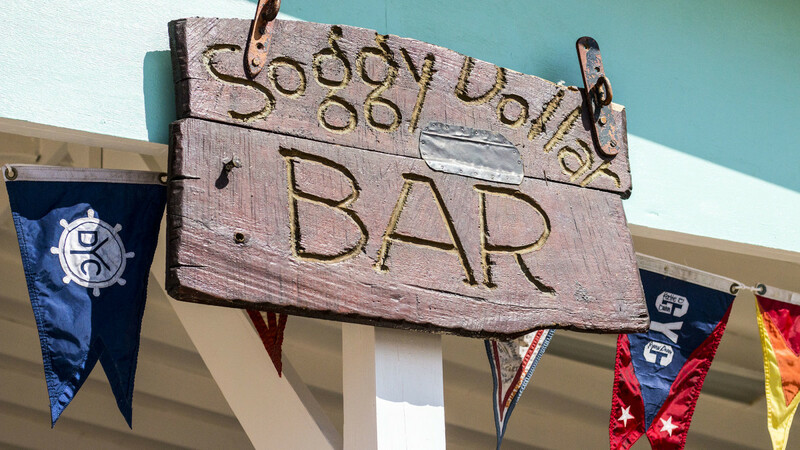 The original Soggy Dollar Bar sign (or at least most of it) was found hundreds of yards down the beach buried in the sand and debris after Irma. Marcie and Leon are now trying to figure out how to continue their organized flotillas. After several months of fundraising they have helped raise money for several local bars and many are just about back on their feet. 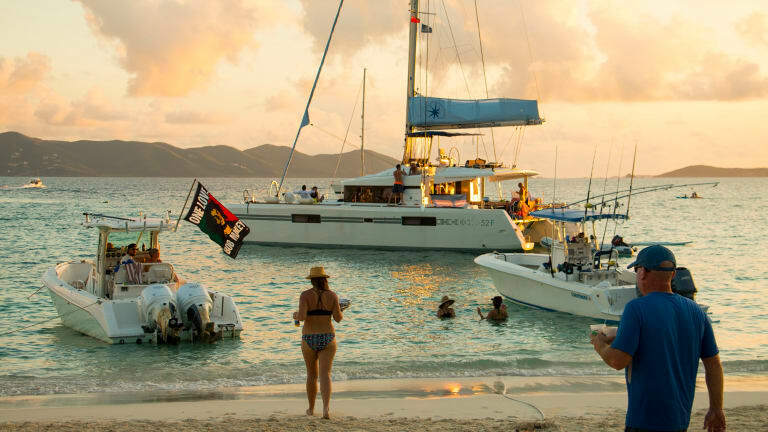 So while their mission is narrowing, the Sunday Flotilla has become a destination for locals from both the British and American Virgin Islands as well as charter guests. Both Marcie and Leon figure they will continue to host these flotillas as long as there is an interest in having them. The bay was quite busy with boats, several charter boats, some day charters, and the dinghies from those visiting from Great Harbour lined both the beach and the anchorage. The bay was full of boats: charter boats, local day boats, and fishing boats were anchored in the bay. Onshore there were beached dinghies that had traveled from Great Harbour around the corner. The mood was festive and you almost forgot that this place had been ravaged by two hurricanes. Even the conversations I had, people weren’t talking about the hurricanes unless you asked. Even for those who had lost everything; homes, cars, jobs - their mood was positive one and of rebuilding and starting over rather than dwelling on the past. The resilience of the people here is astounding. 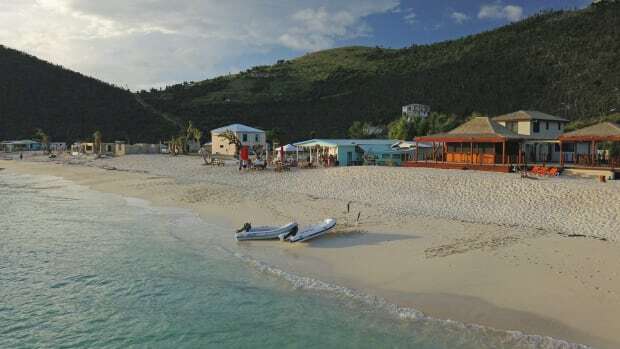 We were some of the last to leave The Soggy Dollar, long after the tourists had left, as the local Jost Van Dyke crowd started to head home. 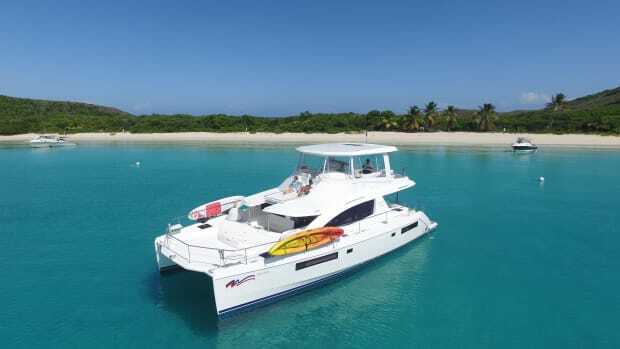 We packed up the BBQ, loaded the boat, and headed back to Nanny Cay, across the dark waters and beneath a starry sky our boat skipped across barren water. 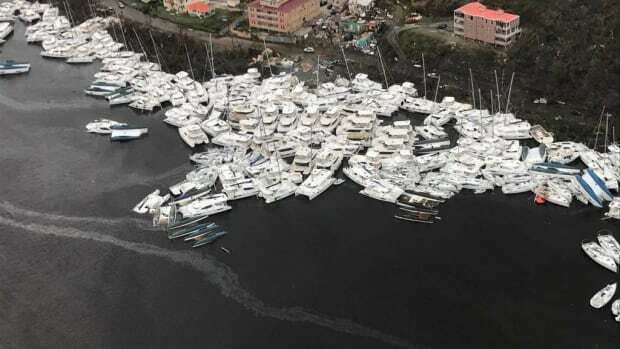 I won’t lie, I was shocked by the devastation in the BVI, and especially to the boats. Driving over to Nanny Cay on Sunday morning, I had a hard time fathoming that what I saw was after three months of clean up. But after attending the Sunday Flotilla, my view changed 180-degrees: The BVIs are a place in the midst of an encouraging rebirth. I remember seeing photos of the Islands right after the storm where the hills were brown, stripped of all vegetation. But now the hills are lush and green again, quickly growing back while hiding some of the scars in the process. If you look closely you can see twisted and torn trunks of trees that are too far-gone to return, but you have to look for those scars. And the same is true of cruising life here in the BVI. The businesses are flourishing along with the landscape. Barren bays are collecting more and more boats, and the rum is starting to flow a little more freely. Bartender Jason prepares the bar for the day&apos;s upcoming party. So while the BVI have changed dramatically after hurricanes Irma and Maria, for cruisers and charters the BVI is starting to open up for business. Just like the regrowth on the hillsides, the regrowth of the tourist industry isn’t far behind. 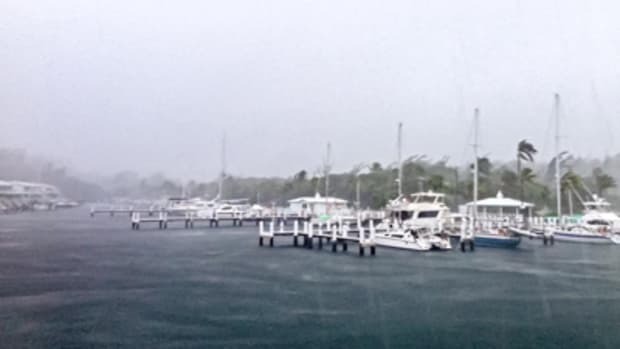 The silver lining to the storm for cruisers may be the reduced crowds and the return of a bit of the ruggedness that first drew cruisers and charters to these beautiful cruising grounds. Bays are quiet; you don’t have to race from anchorage to anchorage worried about finding a mooring ball. The bars and restaurants along the beach are starting to return, and with them, the rustic and gritty spirit and can-do attitude of the first beachside attractions that sprouted up in the BVI. Cruising as it was, a few steps back in time. It may be winter at home, but it is spring here; come enjoy it. The party starts early, around noon, as visitors order drinks, swim, and relax at the tables outside The Soggy Dollar beach bar.